Best Friends Animal Society’s Strut Your Mutt may just be the most fun you can have helping to save the lives of homeless dogs and cats in your neighborhood - and around the country. The annual fundraising dog walk and festival culminates in a day of fun for four- and two-legged participants of all ages. 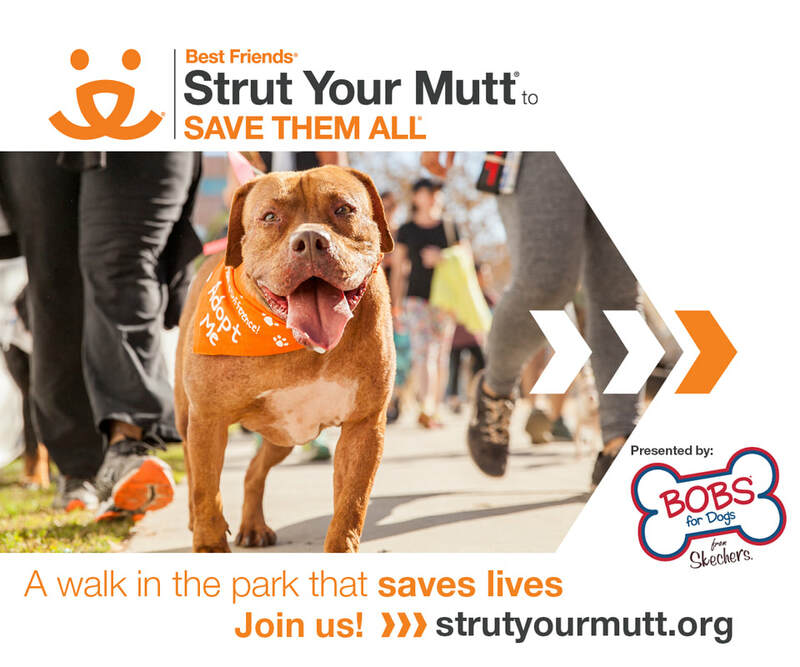 Sign up with us, with or without a dog at this year's huge Strut Your Mutt charity walk and help raise funds and awareness for animals in need. If you're not able to attend, you can simply make a donation or even sign up as a virtual runner and do the entire race from your couch! This is a huge opportunity to make a difference and have fun at the same time! Stay tuned for more information on how to get involved! For more information now, visit Best Friend's Animal Society.